I'm a begginer to this project, I have a doubt connecting these components together. I have stack the GSM Shield with the Arduino Uno but I don't know how to connect the GPS module to the GSM Shield (How to wire the components). because as you see my pic you might see on the top of the GSM shield there are no female headers except one which comes for the display. So do I need to implement a female header on the GSM Shield and solder it to conncet the GPS module? Can't I connect the GPS module to the GSM Shield's UART Pins? For your program, I'll highly suggest to use softwareSerial. It pretty much emulates the serial communication on other pins (NOT PIN 0 & 1). Then connect it like if you would normaly connect an UART device to your Arduino on the 2 other pins that you chose (NOT PIN 0 & 1). 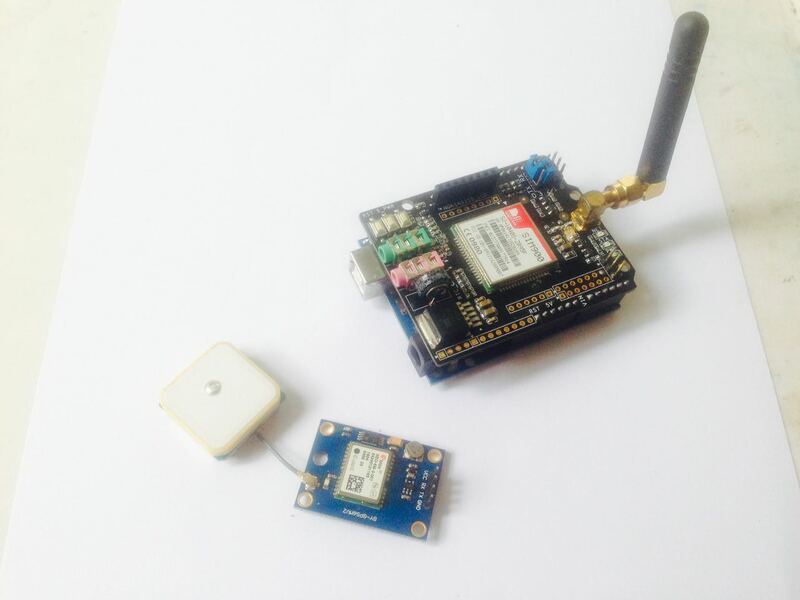 This should make it easy to prorgam your Arduino while having the GPS and GSM module connected to your Arduino. The shield can cause problems if it uses Tx and Rx on pins 0 & 1, WHICH ARE THE PINS NOT TO USE IF YOU USE SOFTWARE SERIAL, so you might as well connect it with jumper wires. Take the TXs from both of your module and connected to whatever GPIO you want and do the same to the RXs, NOT ON PIN 0 & 1. Once again, softwareSerial is NOT ON PIN 0 & 1. Not the answer you're looking for? Browse other questions tagged arduino-uno shields gsm gps or ask your own question.